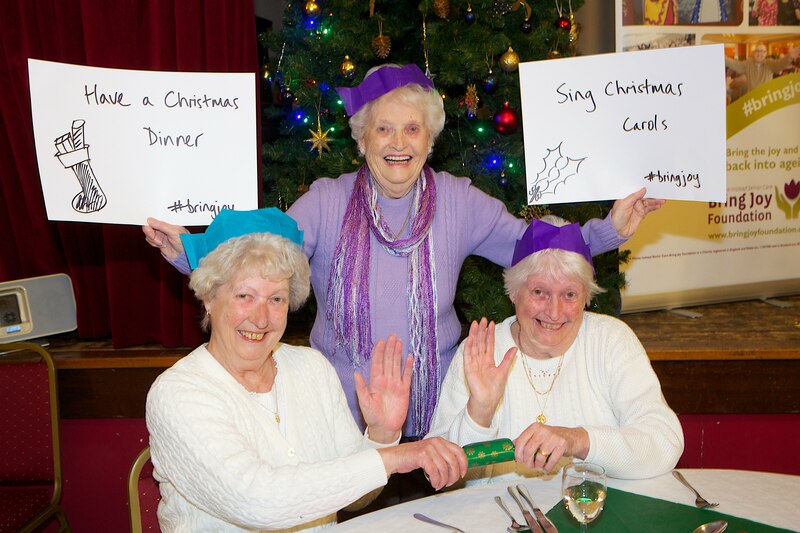 A BRAND new charity set up to bring the joy and fun back into ageing has made its 3rd donation just in time for Christmas – helping to fund a festive dinner for older people in Sandbach. The Home Instead Senior Care Bring Joy Foundation partnered with the Round Table to help turn plans for a VIP Christmas meal for 90 diners into reality. Older residents from across the town were treated to a turkey dinner with fine service, entertainment, carol singing and a guest appearance from Santa - at the seasonal special event held at the Bradwall Village Hall. 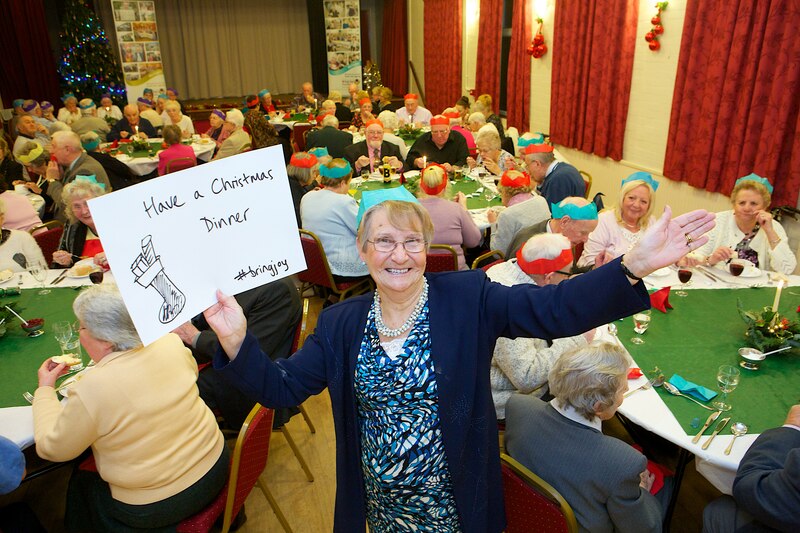 Neil McPherson, from the Round Table, said: “The donation from the Bring Joy Foundation helped put some special finishing touches to the event we had planned and put some big festive smiles on the faces of our diners.” Local resident Mary Goode summed up the special wish straight from Sandbach – to enjoy a Christmas dinner with friends and residents from the wider community. Sam Brocklebank and her husband Trevor founded Home Instead Senior Care UK in 2006, which provides non-medical care for older people in their own homes. They launched the charity, the Bring Joy Foundation this year, to help groups and organisations across the UK put a touch of sparkle onto the agenda by funding events or activities or rekindling favourite pastimes. Sam said: “Getting older brings many challenges but it doesn’t have to be all doom and gloom. Our charity exists to fund the little things that can make a big difference to older people’s lives. Other events that have been funded by The Bring Joy Foundation include a VIP day trip to the seaside and a vintage tea dance. 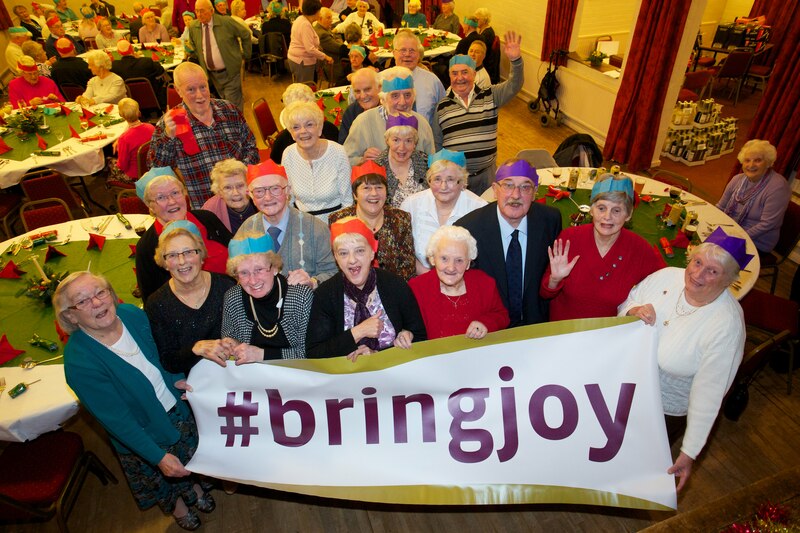 Community groups and organisations who work to make a difference to the lives of older people can apply for a donation from the Bring Joy Foundation by visiting the website at http://www.bringjoyfoundation.org/ or by contacting Jim Bell at Home Instead Senior Care on 01925 730273. For more information about the work of the Round Table in Sandbach contact Neil McPherson on 07817 337444.